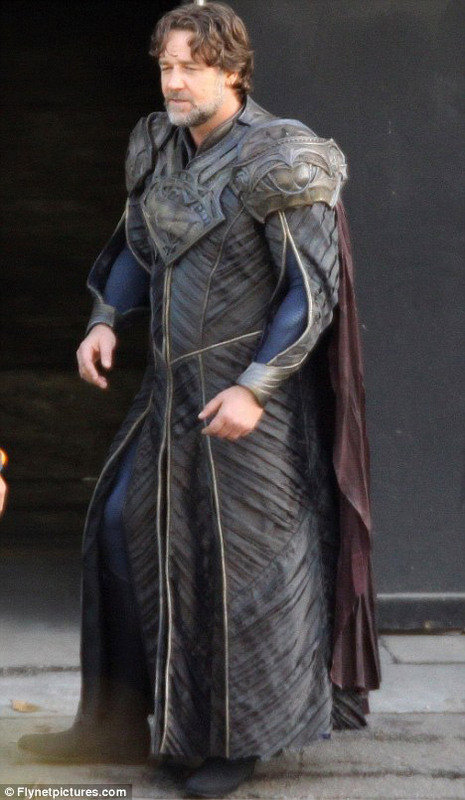 Here is a first look of Russell Crowe in the upcoming movie Man of Steel. Crowe will be playing Jor-El (Superman's father) in the upcoming Superman movie. Written by: Katie Shew at 3:44 p.m.
Labels: Jor-El, Man of Steel, New Superman pictures, Russell Crowe, Russell Crowe as Jor-El.